Love the classic cars. Elastic waistband. 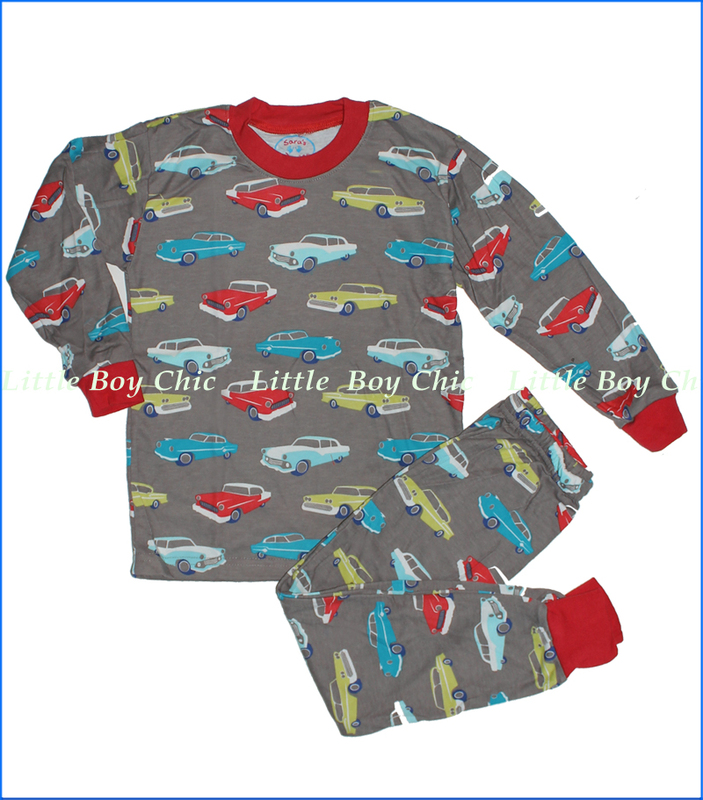 Using the finest quality US grown cotton blending in a proprietary weaving process that ensures flame resistance without the use of any flame resistance chemical treatments, this pajama set is inherently flame resistant. Ribbed neckline retains shape. With printed neck label so there is no tag to irritate. This item is loose fitting. Size down for snug fit.